This is a pack of optional blue upper and lower RPM Traxxas Summit Front Left A-Arms, intended for use with the Traxxas Summit, E-Revo and Revo. 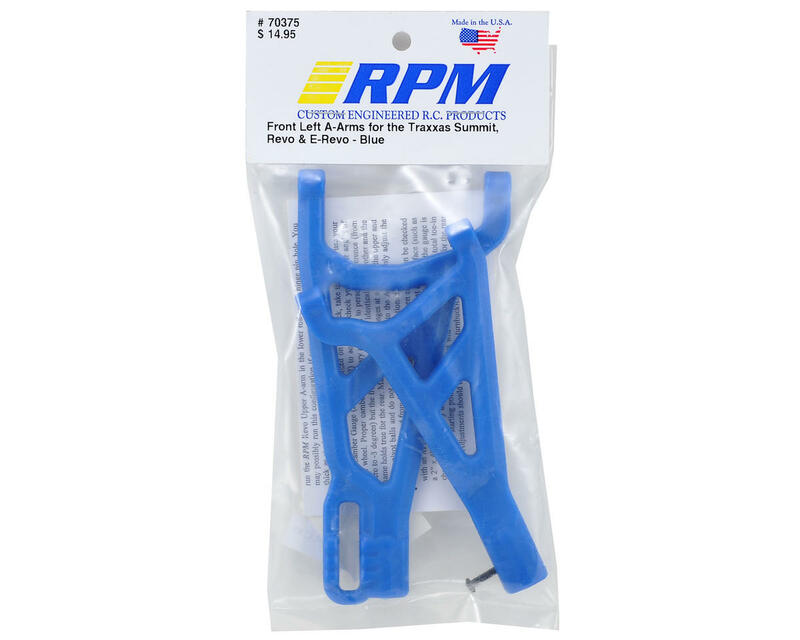 In response to repeated customer demands, RPM has developed a set of front left A-Arms for the Traxxas Summit. 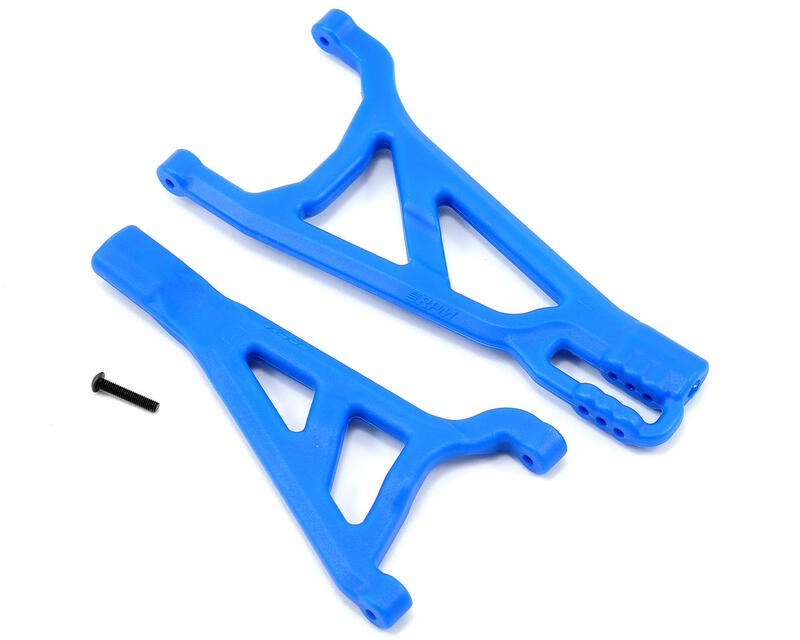 The RPM front right A-arms for the Traxxas Revo (RPM80215) are already compatible with the Summit, but due to the extended T-Lock differential on the left side, the Revo front left A-arms would not fit. That is no longer an issue with these A-arms. With a revamped cross-brace to clear the T-Lock differential, the Summit front left A-arms will allow full suspension travel and significantly improve overall suspension durability.